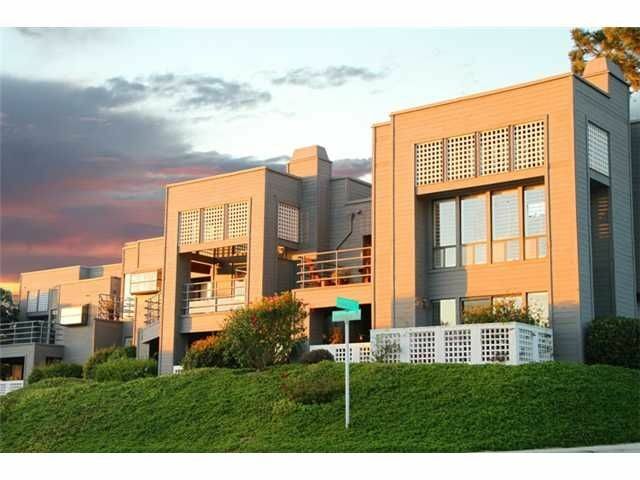 The perfect beach townhouse in the perfect location of the Beach Colony in Del Mar. Tucked off Coast Boulevard for privacy and quiet. Just steps to the beach, restaurants, Powerhouse Park and a short stroll to the Village. 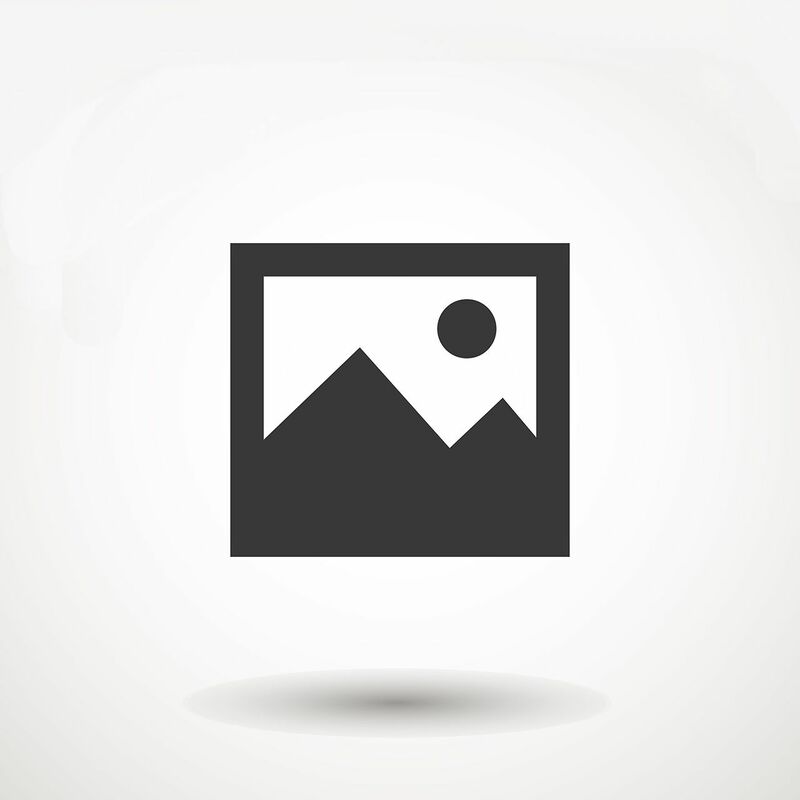 Completely renovated with high end finishes throughout. Open floor plan with private patio and fireplace, 3 bdrm suites, relaxing deck off the upstairs master. Common area pool & 2 underground parking spaces. Furniture is negotiable. All you need is your bathing suit and flip flops! 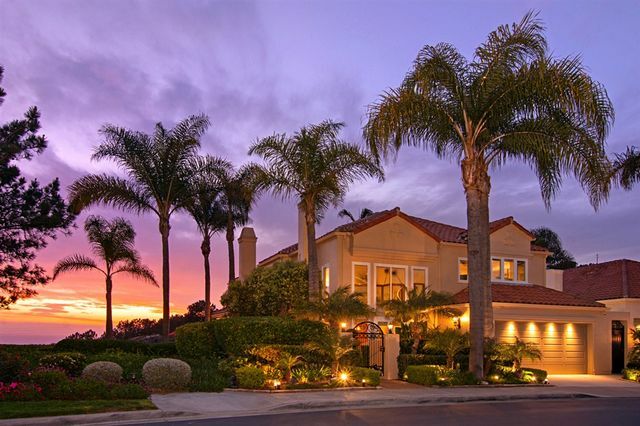 Beach Estate west of Highway 5! 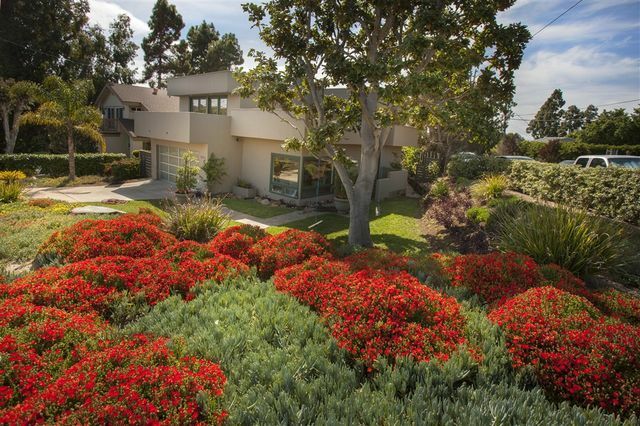 Enjoy Ocean and Lagoon views from the upper level of this beautiful and contemporary home close to Torrey Pines State Beach. A detached studio guest house will full bath, kitchen and totally separate yard are in additional to the 3 bedrooms, 3 full baths and 1 guest bath in the primary home. Bedroom and private bath on main level, plus large loft upstairs. A Stunning foyer entry and dramatic sweeping staircase set this home apart from all the others. Largest Spindrift floorplan w/large view deck, 2 bedrooms & a large loft overlooking the living room w/views to the greenbelt & ocean. Most windows & sliding doors have been upgraded & there is a newer furnace & tankless hot water heater. Other recent upgrades include engineered wood floors, kitchen & bath cabinetry, granite countertops, stainless appliances & upgraded carpet in bedrooms. Premium location in Spindrift - End unit on wide CDS street w/pool & spa two houses away! HOA includes water & trash. 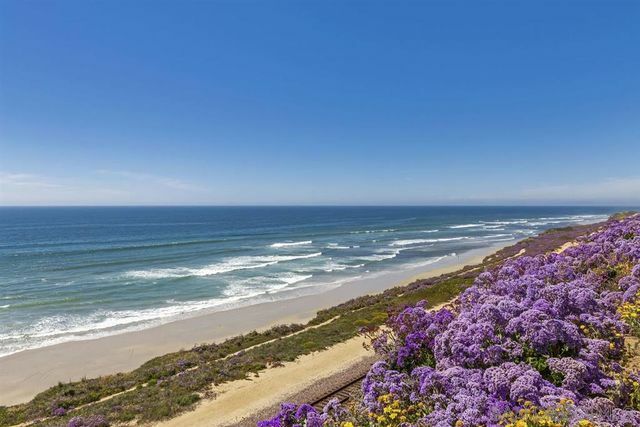 Oceanview living perched upon the iconic cliffs of Del Mar. 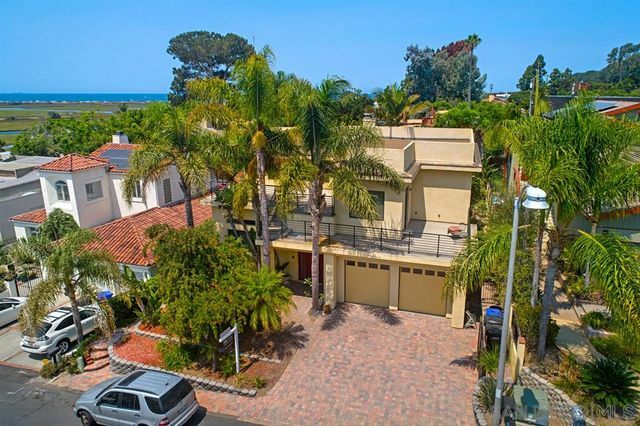 Complete with two west-facing balconies to feel the ocean, one off the living room and one off the master bedroom, as well as an open floor plan making this home an entertainer's dream. 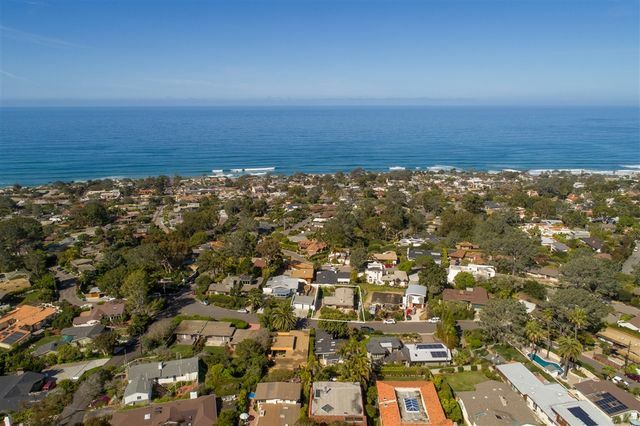 Just steps away, enjoy the stunning oceanfront with expansive coastline views to La Jolla and sounds of the crashing waves or take a walk among the bluffs.